For those who own or manage a restaurant, one of the keys to success is clear communication between employees. From the hostess who greets guests upon their arrival to the chef who whips up their meal, all employees must be working together to ensure the visit is a success. Communication takes a variety of forms in the workplace. It can involve a quick conversation or a Monday morning meeting. In many cases, communication at a restaurant breaks down most often between front of the house staff and back of the house staff due to the nature of their respective domains. Here at Journey Business Solutions in Fort Worth, we specialize in helping businesses find the solutions they need to operate smoothly and efficiently. One area of our expertise is in POS systems for restaurants. 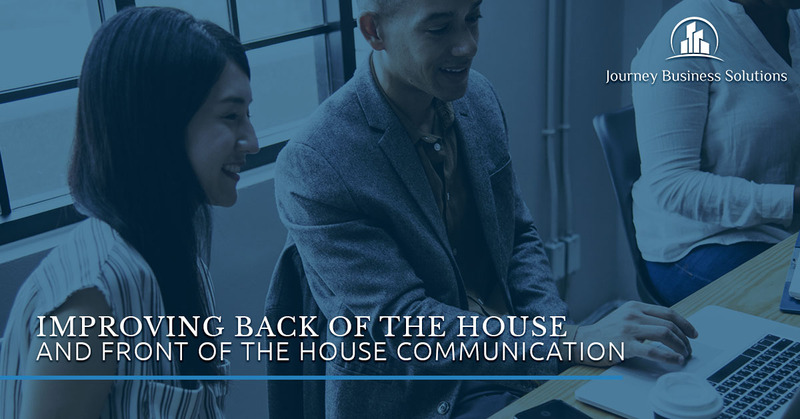 Find out more about how you can improve communication between your front of the house (FOH) staff and back of the house (BOH) staff, including a tip on an outstanding POS system that helps your employees communicate seamlessly. One of the reasons that communication often breaks down between FOH and BOH operations is due to a lack of respect for each other. It is easy for your FOH staff to feel like they are operating in an entirely different realm as they handle the interaction with customers and it is also often the case that your BOH staff feel like they take on the pressure of the work without any recognition. 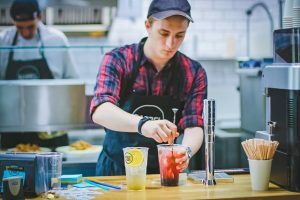 Over time, these split operations can cause your FOH and BOH to foster resentment, misunderstandings, and an overall lack of respect for one another. It is vital that you lead your team to respect one another and to understand the important role everyone plays. Create a culture where it is expected that you all work as a team, no matter what position any person holds. Ensure you are leading by example and valuing every single member of the team equally for the role they play in the whole. The more everyone respects each other and the less of a FOH and BOH battle the better communication will become. The reality is that at the end of the day, no matter how great your staff is and no matter how hard you work to create a positive relationship between your FOH and BOH staff, there will be times when problems arise. Be sure that you take time out of your busy schedule to truly hear concerns that are voiced. Sit down with management from all departments of your restaurant and try to pinpoint any communication issues as they arise. By listening to concerns early on and encouraging your staff to take a proactive stance towards solutions, you can nip issues in the bud. This will stop them from spiraling out of control, destroying communication lines in the process. How often do your BOH and FOH staff members interact? If it isn’t very often, outside of a frantic plea for a side order of fries, it can be difficult for communication to feel natural. Take time aside once a month to have integrated staff meetings. Use these meetings to build a team mentality. Whether you utilize team building games or you take your entire staff on an outing together, building camaraderie between departments will go a long way in improving communication on the job. As people get to know one another more, it will become more important to them to take initiative in clear communication. Last, but not least, make sure the technology you are using in your restaurant helps foster clear communication. If you are using an outdated POS system, it could be hindering your staff’s ability to communicate well with one another. Ensure that the software you choose is simple for everyone involved. One of our favorite restaurant POS systems is Hot Sauce™ for this very reason. It prioritizes the importance of FOH and BOH communication. As a manager or owner you will also be able to easily handle management tasks from anywhere in the restaurant. Need to let everyone know that the special of the night is gone? Add it to the 86 list even from the FOH. If you are interested in improving your FOH and BOH communication, talk to our team at Journey Business Solutions in Fort Worth. From POS systems to payroll services, we have all the solutions you need.